Experimentation with new materials continues here in DFC: PET and Nylon are, above all, proving very interesting. Are resistant materials, versatile and that guarantee a good print quality. In the picture you see we show a comparison of PLA and PET (Polyethylene terephthalate). 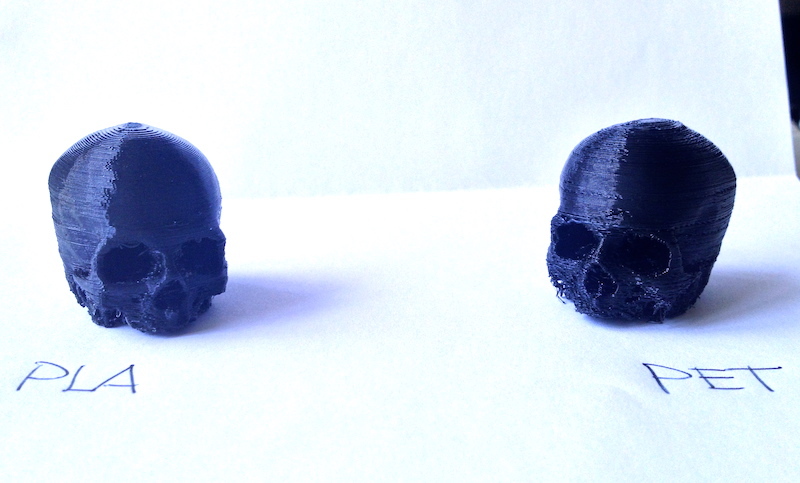 The latter is very close to the print quality of the PLA and, moreover, without requiring a hot bed! Among the advantages of PET are: high mechanical strength, UV resistance, food safe and, above all, recyclable! Studio di progettazione e sviluppo prodotti e laboratorio tecnologico per la manifattura digitale.